“War is an ugly thing, but not the ugliest of things; the decayed and degraded state of moral and patriotic feeling which thinks that nothing is worth war is much worse. A man who has nothing for which he is willing to fight; nothing he cares about more than his own personal safety; is a miserable creature who has no chance of being free, unless made and kept so by the exertions of better men than himself.”–John Stuart Mill In the school and library and festival presentations I do on Texas history, I talk a great deal about war–who fought them, why they were fought, the price of those wars and how those wars shaped our state and nation. In these presentations, I almost always use two flags to illustrate the passion and price of liberty. cheap albion silver Below are two photos from my presentations in the Sam Houston Museum in Huntsville during the Sam Houston Folk Festival. buy albion gold The first is the blue flag of the New Orleans Grays, a uniformed unit enlisted and equipped in October of 1835 in New Orleans. There’s a few good sites you can search for to learn about them. As far as I know, I’m the only Texas storyteller to use this flag in his program. The original was taken by Santa Anna and sent to Mexico after the fall of the Alamo, where it still resides, hidden from all eyes–especially the eyes of Texans, who crave the return of the flag. 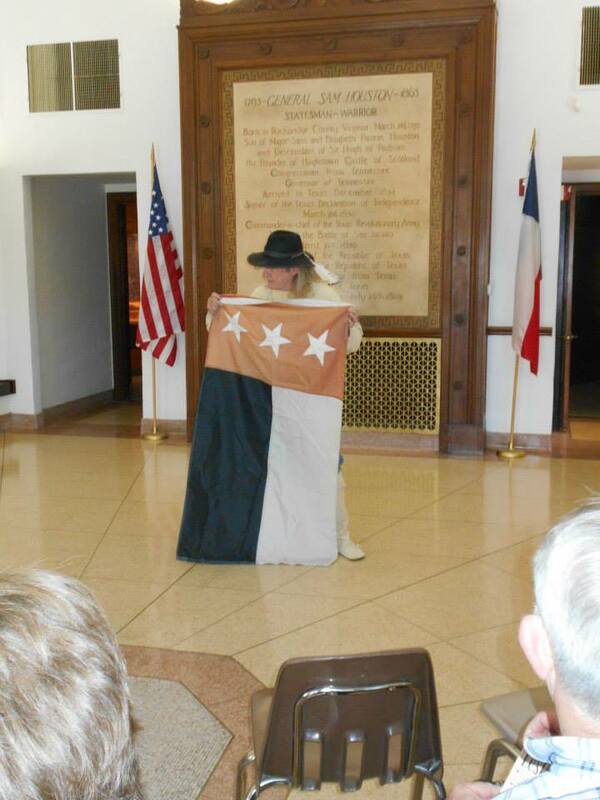 albion gold The flag was presented to the unit by ladies of Texas once the unit crossed the Texas line. 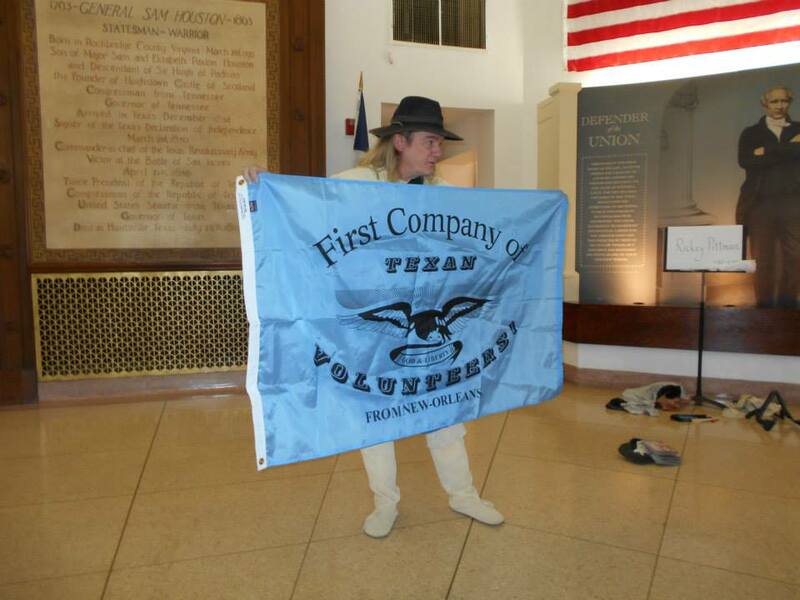 Sadly, almost all of the New Orleans Volunteers perished at the Alamo or Goliad. The second flag I like to use is the flag of the Republic of the Rio Grande. As far as I know, I’m the only storyteller in Texas to use this flag. In 1840, the three northern states of Mexico-Coahuila, Tamaulipas, and Nuevo Leon, which at that time included large parts of South Texas–seceded from Mexico to form this republic. cheap albion gold Its capital was Laredo, and there is a museum devoted to the Republic to this day. They resented the tyrannical rule of the Mexican Centralists and wanted a Federalist Government, like the new Texas and like the United states. cheap albion gold Every time I relate the story of this army with its early successes and eventual defeat 10 months later, I realize there are more stories that need to be told and more songs written to honor these brave men that comprised its army–800 Mexican citizens, 140 Anglos, and 80 Native Americans. buy albion gold One of the Anglos who perished was William McGuill, an Irishman who came to Texas with James Powers the Empresario and who fought with Houston at San Jacinto. buy albion silver I also strive to honor the men who led them–Canales, broken and forced into the army he surrounded to as an officer; Antonio Zapata, the cavalry commander, namesake of Zapata County and its county seat, was executed and beheaded; and even men who supported the movement financially and verbally, such as Juan Seguin–these all paid a terrible price. These are the flags I remember on Memorial Day. albion silver May the heroes of these wars rest in peace, and may they forever remain in our memory.